The 2017 5k Scarecrow fun run/walk was full of hills and challenging terrains, including a long run up Tan House lane. At the starting line there were 88 runners and 47 were under 16 years old, many were Junior Pumas. I was able start the race and when I blew the whistle the front runners dashed off and everybody else followed. The race began with a steady incline up the main road and then quickly turned off through a path filled with nettles. Unfortunately for the people with shorts on they had to be careful not to get stung! The Marshals were very helpful and told us where to go whilst giving us encouragement before we tackled Tan house lane. It was a long hill but when we got to the top we had some downhill through a track,which had overhanging trees above us. After we turned out of the trees we were happy to see a long downhill that led up along Upper lane. We got to see a few scarecrows along the way too! At this point we were almost back,we only needed to run down towards 22 the square and along a narrow path that led into a field near the finish. The last bit was across one of the Cricket fields and then we were at the finish. It was an exciting run and thank you to the marshals, registration team and the scarecrow committee, especially Ian for organising the 3rd scarecrow fun run/walk. They raised £176 that will go towards funding for community projects e.g the defibrillator sited at the library. This awesome round up of events was captured by Olivia Culpan, age 13. Thanks Olivia! Week 2 of the Saturday Tokyo 2020 kicked off with a fun and energetic game of scarecrow-tig. The game involved two teams: The Chasers and The Scarecrows. The Chasers’ job was to turn the opposing team into scarecrows by catching them and saying ‘tig’. Once caught, it was up to your own team members to set you free. What a great way to get us all warmed-up for the next challenge! Afterwards, Ian split us up into three teams for a relay race. 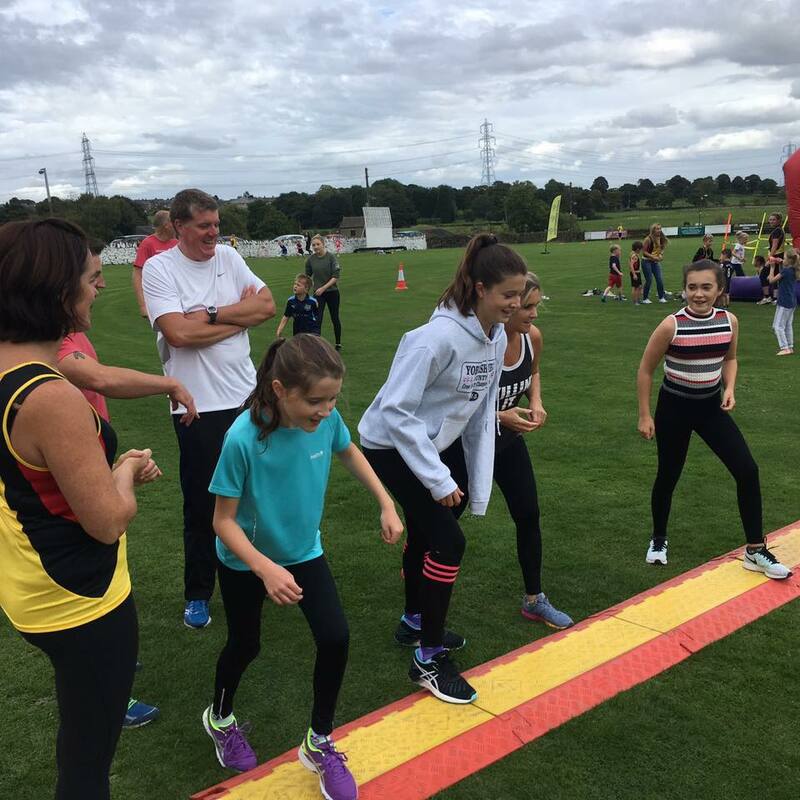 Every team member had to take it in turns to run as quickly as possible (with their batons) through the two slalom poles, round a hula hoop and back to their team to pass on the baton. It was great to see every team cheering on their team members and it definitely brought out the competitive side in some! To get our muscles nicely stretched, Gabriella and Paula kindly led some exercises, including the plank, jogging on the spot and mountain climbers. 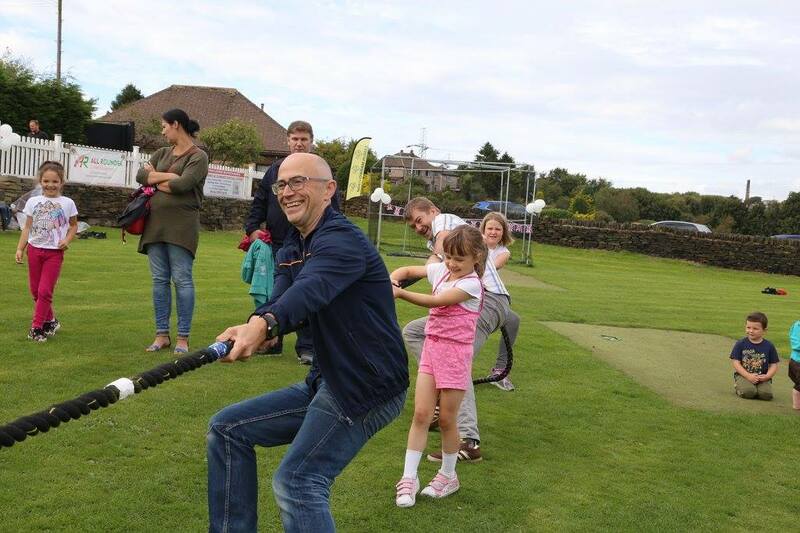 Everyone joined in, even the little ones were keen to take part. Next up was the Obstacle Run. This included a hula hoop (phew, no demonstration from Ian this week, ha ha!) some hurdles and step ladders. 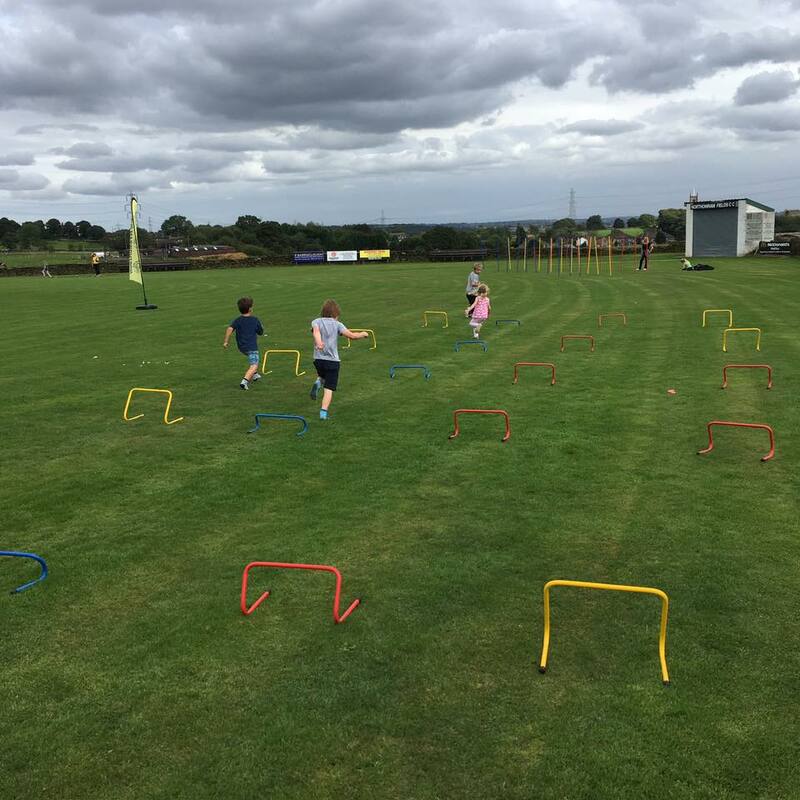 Once wiggling your hips on the hula hoops, tackling the sneaky hurdles and tip-toeing along the step ladders, we all did five speedy star-jumps and whizzed back off to our teams. Both teams were top-notch, each winning at least a round each. Phew…after all that running it was definitely time for a drink! To finish the morning off nicely, we enjoyed a game of Shark Attack! The scary sharks ran after the frightened fish. Each finned-friend was only safe at the three islands… but you couldn’t hang around too long! We all enjoyed a fun and active morning that definitely started our day off nicely. Luckily, the weather was being equally as pleasant with the sun shining and a bright blue sky- a great day to take a team photo! Great to see a variety of ages and wonderful team spirit! Thanks to Ian for organising this family event. We look forward to Week 3! 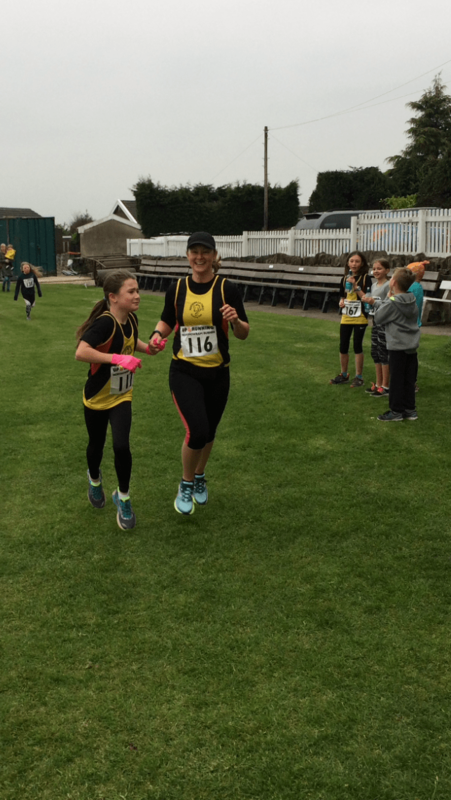 Awesome race day report by Amelie (Age 9) and Freddie (Age 7). 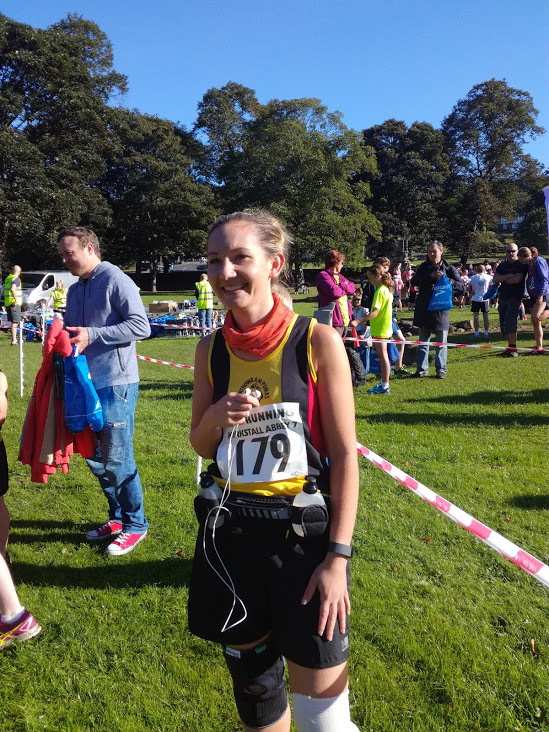 On Sunday the 18 of September we went to Kirkstall Abbey in Leeds to take part in the 2 mile under 17’s Kirkstall Abbey 7 race. We all met before the start and had a team photo. We were all super excited and raring to go, including our cheer-leaders Orlagh, Jaxon, Olivia and Barney the dog. 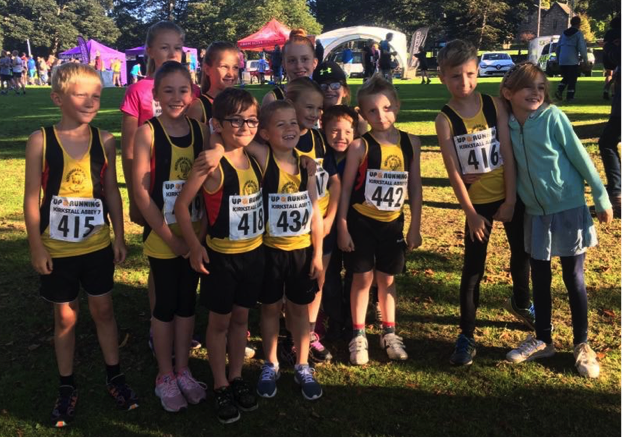 There were 11 Junior Pumas taking part in the race (Tegan,Tailla, Zachariah, Jessica, Harriet, Jude, Finley, Henry, Maia and us two).This made up a quarter of the runners, so there was a sea of yellow at the start! For the race we had to do one small loop and two big laps through the trees. It was sweltering, we were all sweaty when we had finished. There were people aged from about 6 to 17. It was hard keeping up with some of the older ones! We all absolutely flew around the course though, trying hard not to slip in the mud or trip over the tree roots. 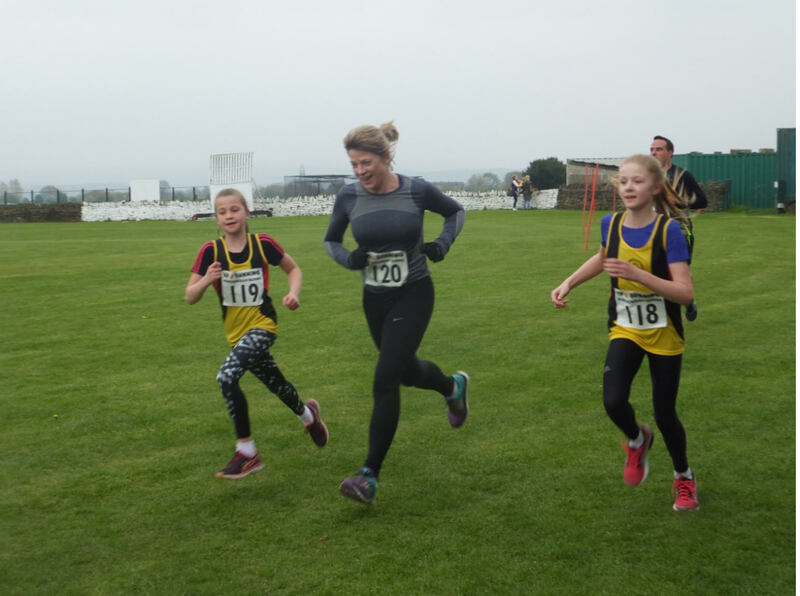 Poor Tegan fell near the beginning, but when she had received first aid she was there to cheer her brother, sister and team mates on. Maia also had a little fall on the last lap, but managed to get back up and finish the race. When we had finished we got a goody bag and a funny ‘Monk’ medal. Thankfully, Tegan was feeling better and was able to celebrate with us. Everyone went home after a little play in the park and we waited for our mum to finish the adult race. When mum got back she was even redder and sweatier than us, but luckily she got a cold beer in her goody bag to cool her down. 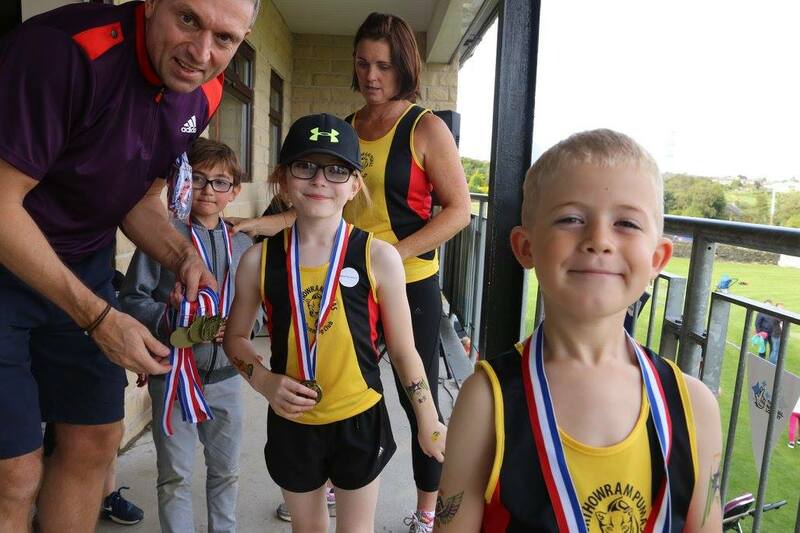 As part of the West Yorkshire Sport drive to get people involved in sporting activities the Northorwram Pumas Running Club hosted our very own Olympic games. 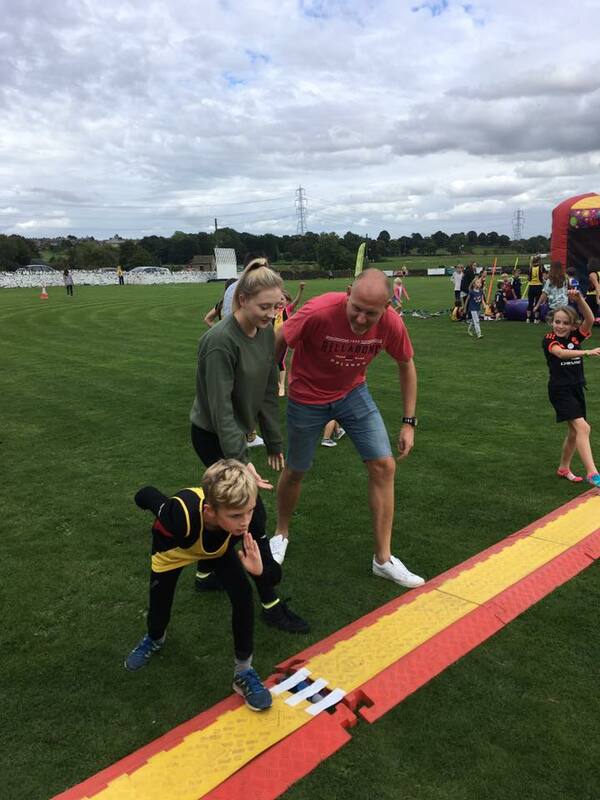 There was a variety of different events for all ages that both young and old could join in –here is a roundup of the days events! 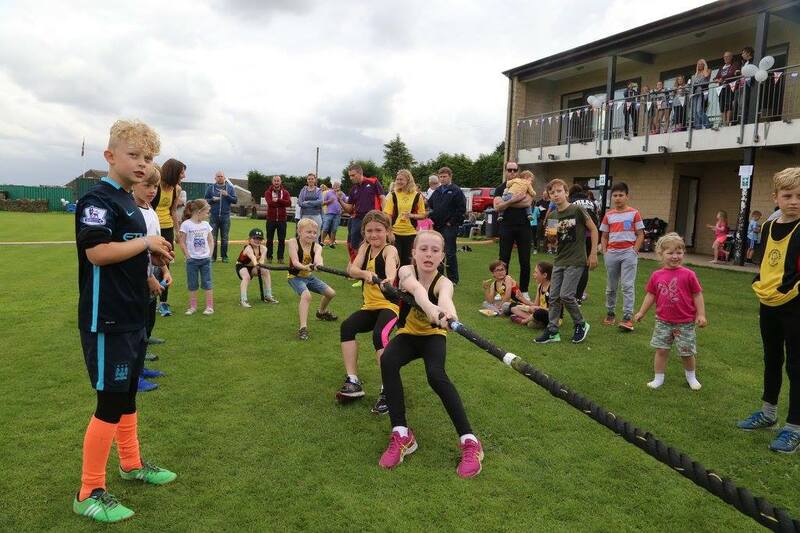 Saturday 10th September 2016 saw the first Northowram Puma Juniors Olympic games!! Me and my sister arrived early to “help” set up, this meant that we got to test the bouncy castle! We did this extensively and had around 30 goes just to make sure it would be ok for all the kids that were going to take part!! All the kids had arrived and were getting ready to walk around the field, waving their flags, following the torch bearer, Tailia Green-Moore. All of the mums and dads, grandmas and granddads, friends and family were all clapping and cheering. Everyone was speed walking because they were all very excited about the upcoming races. 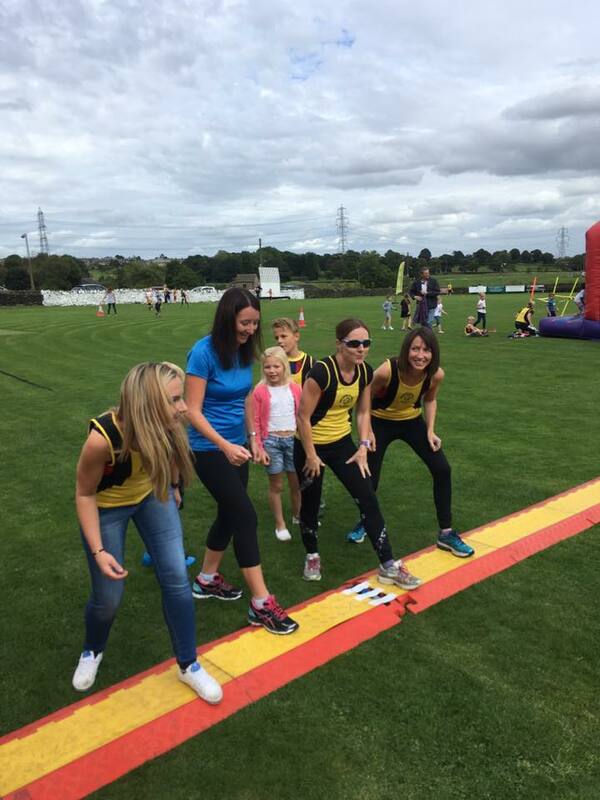 The first race was the obstacle course – Three, two, one….BANG! The first set of four had started, round the first bend they went, over the hurdles then through the slalom poles towards the ladders. After the ladders they went to the cone jumps, then to the hoola hooping area – we were hoolaing like we were in Rio!! 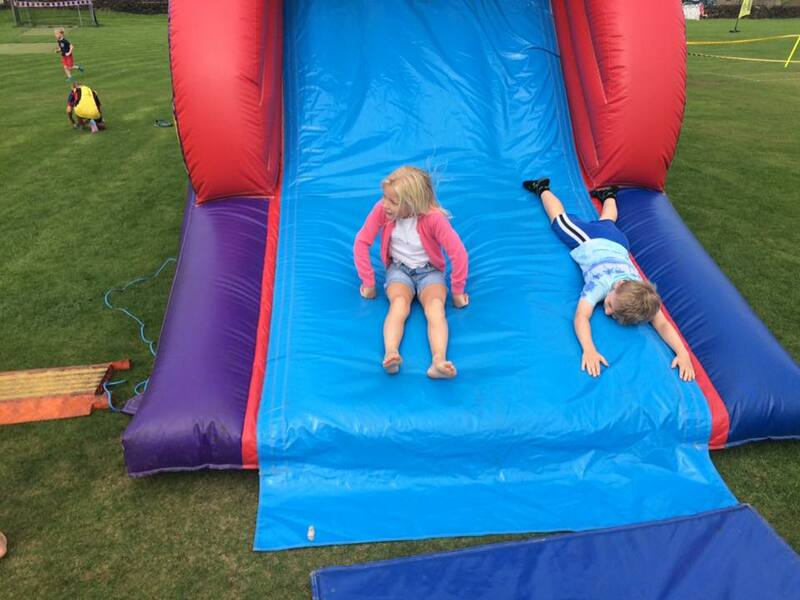 Next we had to run full pelt to the cones then it was best for last…the bouncy castle, you had to take your shoes off as fast as you possibly could then sprint through the holes then round the inflatable cylinders and up the inflatable climbing wall then down the slide. 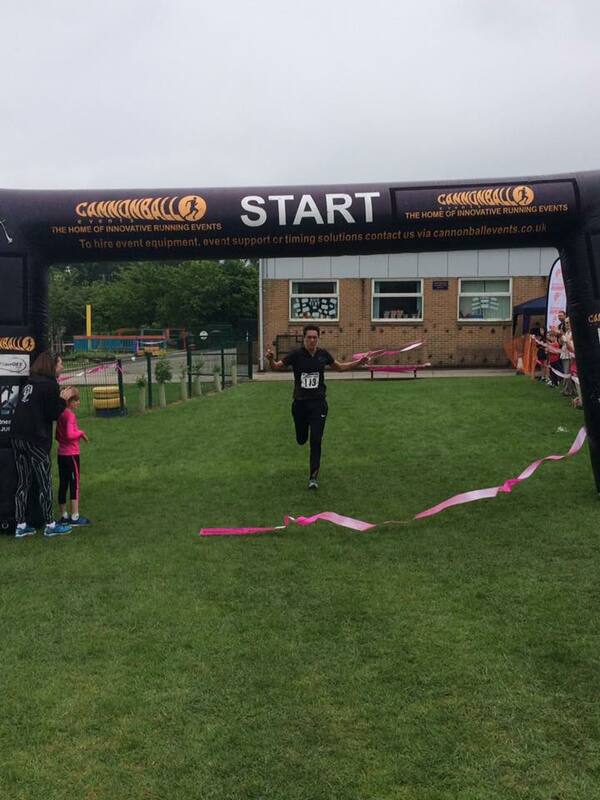 After the bouncy castle you had to grab your shoes and do a sprint to the finish line. After about twelve goes on the obstacle course it was time for the relay race. Teams were being sorted out between adults and children. Here are some of my favourite names “The three men and the little lady, Team Fox, Team Puma, Team GB and just to be sneaky, Team Kenny. Closest race was heat 3 starring Team Fox, Team Kenny and Team Alpha Wolf Squadron. The first people set off and team Alpha Wolf Squadron were leading followed by Team Kenny in second and in last was team Fox. Team Alpha Wolf Squadron had passed the baton as did team Kenny and so did team Fox. It was the last person now, Team Kenny were in last with team Fox in first. Team Kenny had to close the gap but in the end they could not quite manage to. And as they say it’s the taking part that counts! Today we really believed this as it was such good fun with everyone shouting each other on. Jude perfecting his starting position – Paul and Georgia didn’t stand a chance! No one was more competitive than the adults! Next up was the tug of war. What you had to do was get the other sides blue marked point to the middle which was marked with spraypaint. The final results were 1st Team Fox 2nd Team Flash 3rd Team Alpha Wolf Squadron. After the mighty tug of war we had the closing ceremony where all the children that took part walked up the stairs inside of the building which was next to the field. Upstairs you had to go out onto a balcony and you could claim your shiny, gold medals. 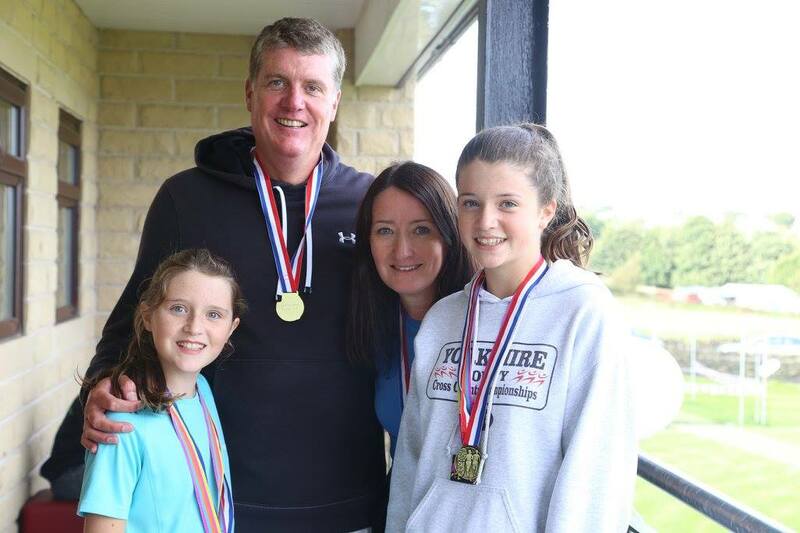 Photos were taken downstairs and all the parents were loving the medals. 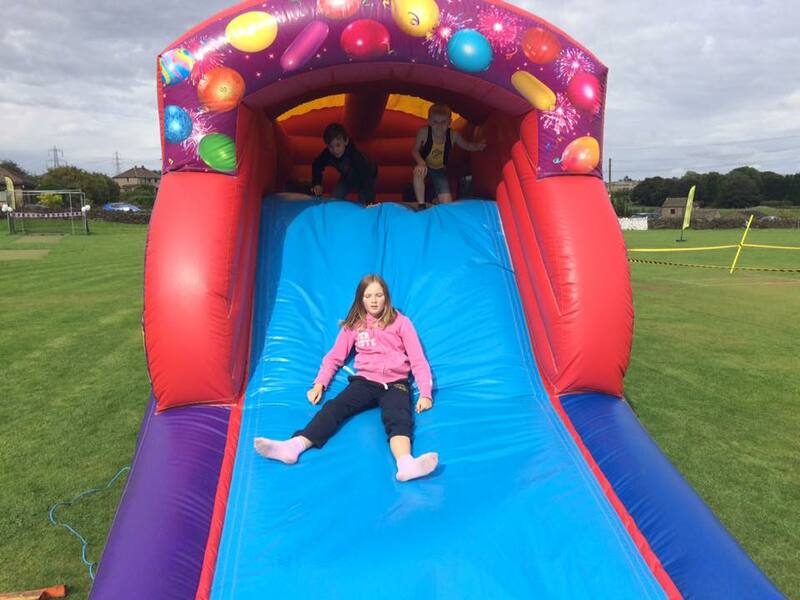 When we had claimed our shiny, gold medals, we played on the bouncy castle with our friends. 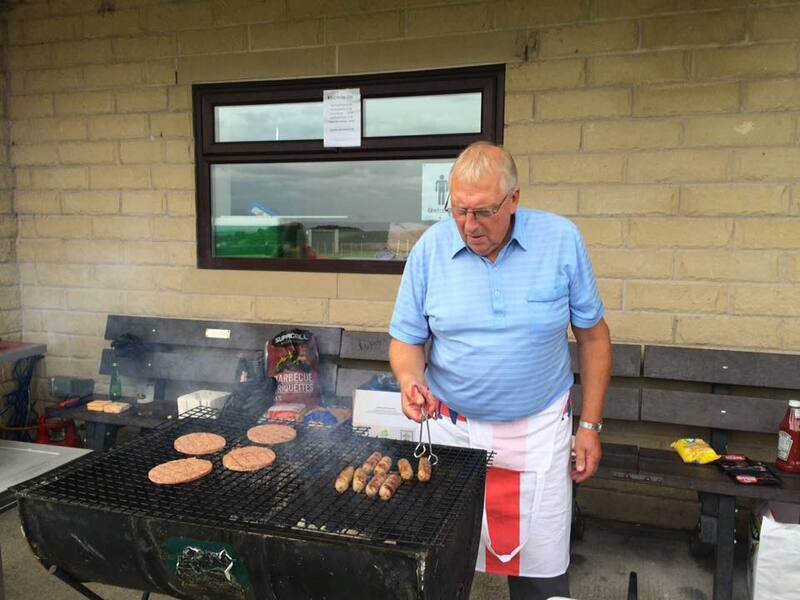 After all our tiring activities we were starving luckily there was a bbq so we had hotdogs and burgers made by John the best burger flipper Marshall! After that lovely day we went home, happy and exhausted! As well as the army of helpers on the day, the Pumas Olympics wouldn’t have been possible without the efforts of one man. Ian Marshall. Ian organised the funding for the event, came up with the activities and worked tirelessly (and nearly drowned everyone in WhatsApp messages) to make sure the event came together. Thanks to Ian, everyone had a smashing time! 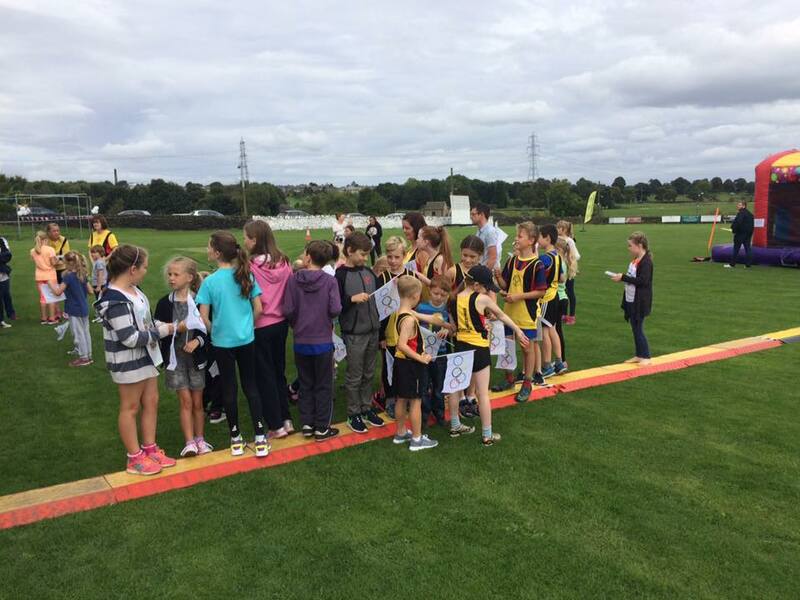 This was the first official race that our Junior Pumas have taken part in. 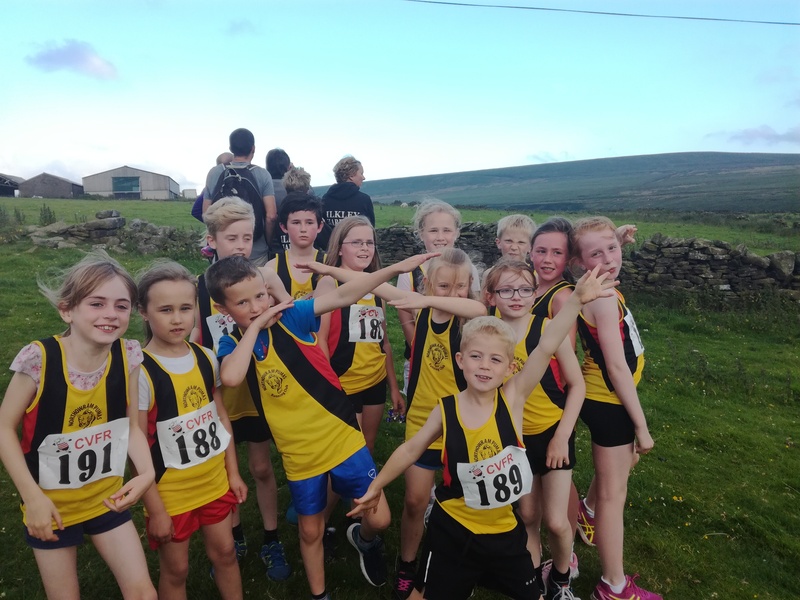 Organised by the Calder Valley Fell Running Club it was a bit of a baptism of fire for our Junior Pumas! The race was all run on the fells surrounding Heptonstall. 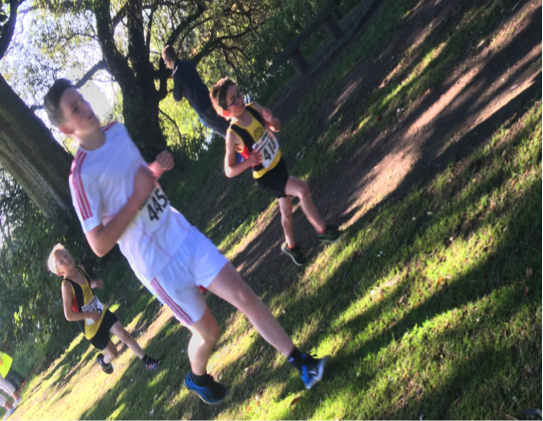 This type of running was a massive change for our juniors, who have done some ‘off road’ running but nothing compared to the terrain on a proper quarry run (the term used for a junior fell run). As Maia Tudor said ‘I had to climb up a big rock and it was a bit dangerous because if I’d have fell I would have landed in the river’. Even though all of our juniors have run longer distances the tough terrain and steep hills made it a challenging course. But this didn’t stop them. 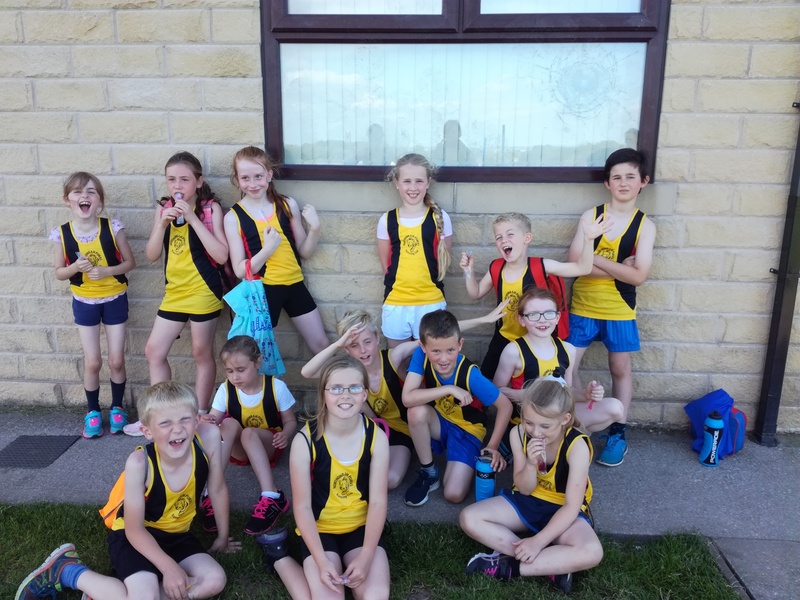 Each and every one of our Junior Pumas raced to the best of their ability and performed absolutely amazingly. 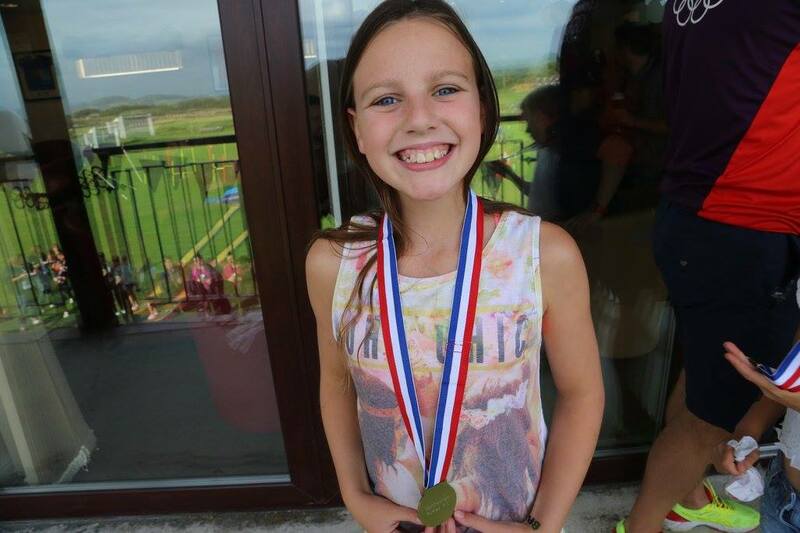 We even had a medal winner, Tailla Green-Moore who came 3rd in the U8 girls! An amazing achievement. The team spirit they showed was also great to watch, as they stood and cheered the rest of their team mates across the finish line. As a coaching team we couldn’t be more proud of how well our Junior Pumas did, we were definitely #proudtobeapuma on Wednesday night. 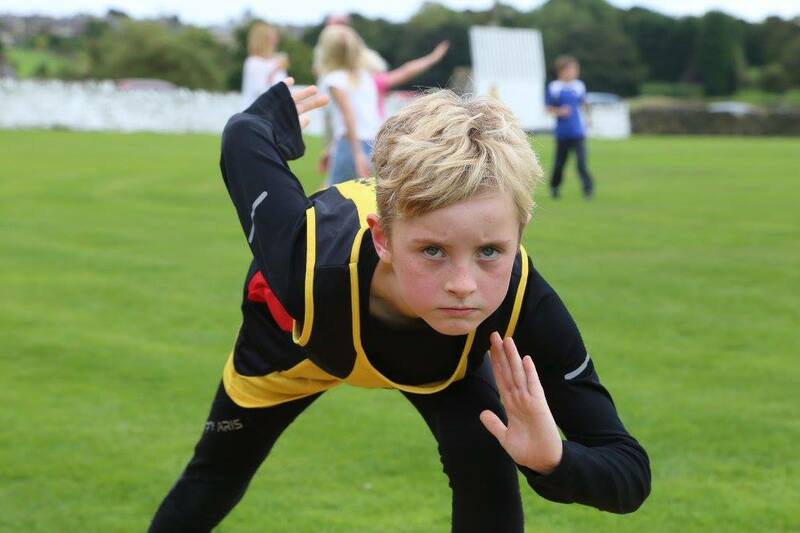 The times and places of our junior runners are available here. 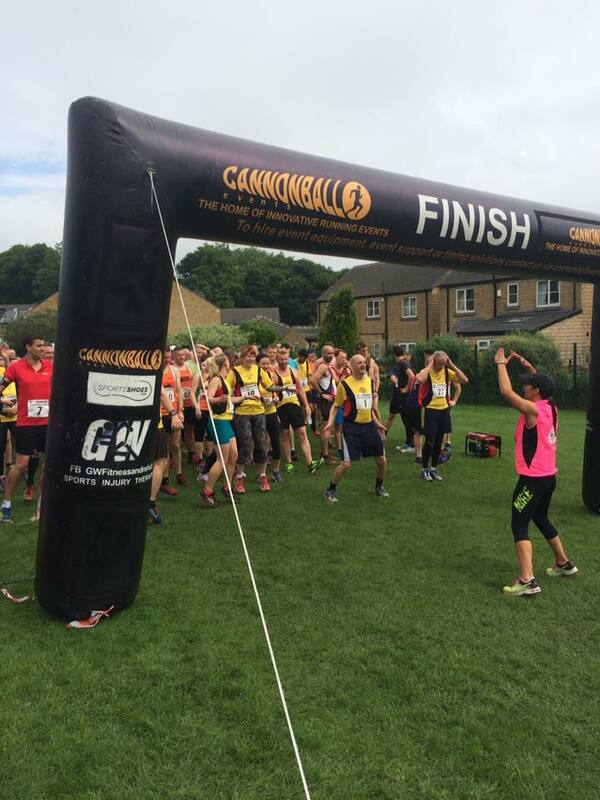 The Burner is an annual race held every year by a group of schools within Calderdale. 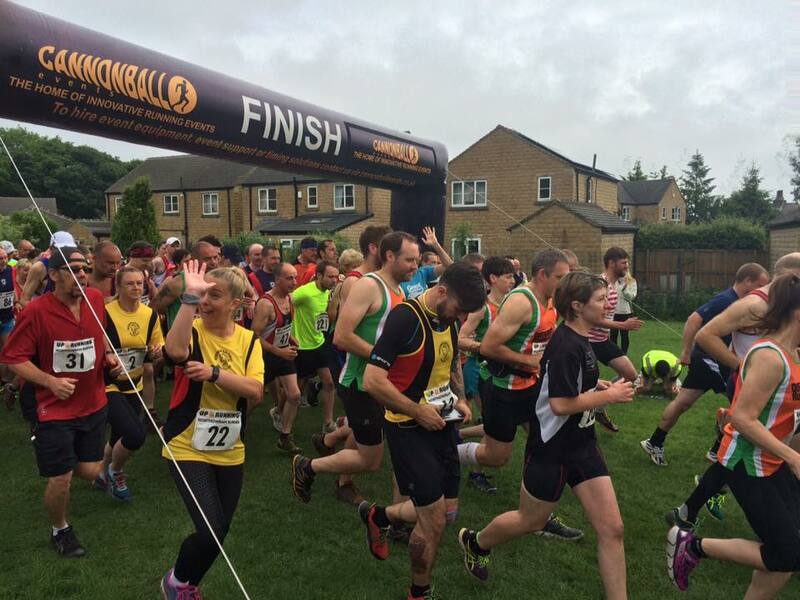 For the past two years the race has been hosted by Bolton Brow school and has negotiated the hills surrounding Sowerby Bridge. But this year the race moved to the Pumas home turf! So we couldn’t pass up the opportunity to get involved and help out. Much of the behind scenes organising was done by our chairman Andy Haslam, along with the help of the rest of the Burner committee and a number of Pumas who, suffice to say, now know the route like the back of their hand! Off road. We love our off road running us Pumas. So the route decided by Andy and Ian incorporated some of the best trails and scenery we have to offer. And obviously, it’s June, how treacherous could some off road running be? And hills! You can’t escape them in Yorkshire, so we thought we’d pick some reet tough ones to run up. I’m certain the route was pretty much 80% uphill!!! After all the organising, recce runs and more recce runs, the big day finally came around. The first race of the day was the 2.5k fun run. There were over 450 runners. Most of them youngsters. The atmosphere was fantastic and we had a great warm up by Amanda Tuck. After the 2.5k, it was time for the 10k to get underway. And then, after Andy’s safety briefing, we were off. And they’re off… not before a final wave to the crowd! Thanks to the great British summer weather it rained pretty much constantly the days leading up to the Burner. This meant that the lovely downhill trail sections of the course started to resemble something from a Tough Mudder event! The first few miles, although uphill (and including a bit of a slog up towards Queensbury), were mainly on roads so the pace was pretty quick and all the fellow runners seemed pretty happy. The fun started on the descent down into the valley, I imagine those at the front of the race had an easier time than those of us towards the middle/back, as by the time we got to trail sections the ground had been thoroughly churned up by the 80 plus runners before us! But, it’s no fun if there’s no mud! And even though it made it tough it didn’t seem to dampen anyones spirits. As with every race I’ve been to, you could hear all the competitors having a laugh and a joke about it, regardless of club, pace or ability. One of the reasons why running is such a great sport! Once we’d passed the mud slide, and the mountain rescue man who was manning the stream crossing with a rope in case anyone got swept away, it was pretty much back to solid ground. A nice downhill and flat section gave everyone the chance to make up a bit of time. Before the dreaded Whiskers Lane. To our Advantage (or possibly, actually, disadvantage, as we’d all spent the whole race dreading it) the Pumas knew what the finale of the race had in store. Whiskers Lane is a rocky, vertical (ok, not vertical, but it feels like it!) climb back up towards Northowram. It is a killer. If you’re ever in the area we’d definitely recommend giving it a go, if you get up it without walking you deserve a medal! Thankfully after the climb the final stretch was flat-ish (it is Yorkshire after all!) back to the school playing field. Also a massive well done to all the Pumas who took part in the race, it was an amazing team effort!! As with every other event we’ve done the amazing team atmosphere and camaraderie between the Pumas makes me #proudtobeapuma. All the other helpers and volunteers for working hard to make it a brilliant day! It seems like quite a long time ago that we first started playing around with the idea of junior Pumas. Since before Christmas we had discussed running a junior course, and over the following months we started putting the wheels in motion. Applying for grants, attending coaching and safeguarding courses, buying equipment, finding coaches. There was quite a lot to do before our intended start date of 13 April 2016. 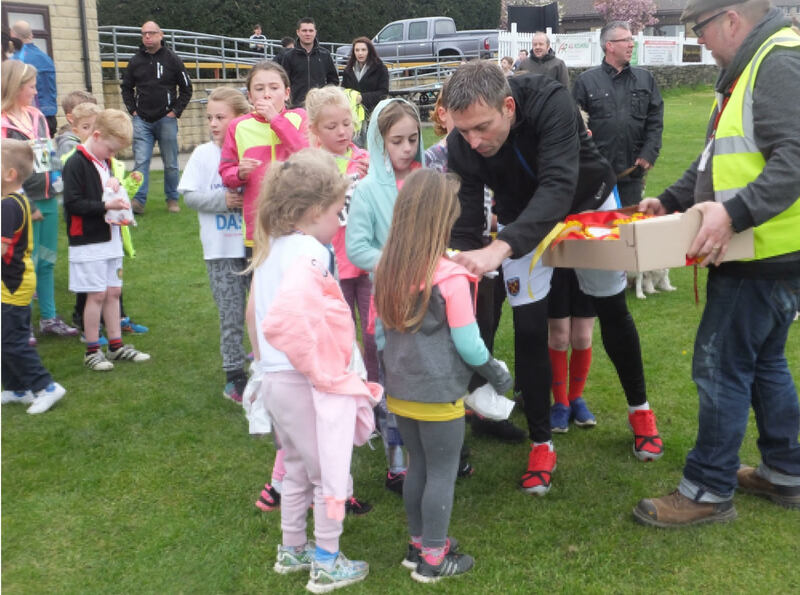 But 13 April came round soon enough, after an initial meeting with our official coaches, Mark and Alastair, we anticipated that on that first week we’d have between 5 and 20 juniors joining us…. We had over 60 juniors join us! 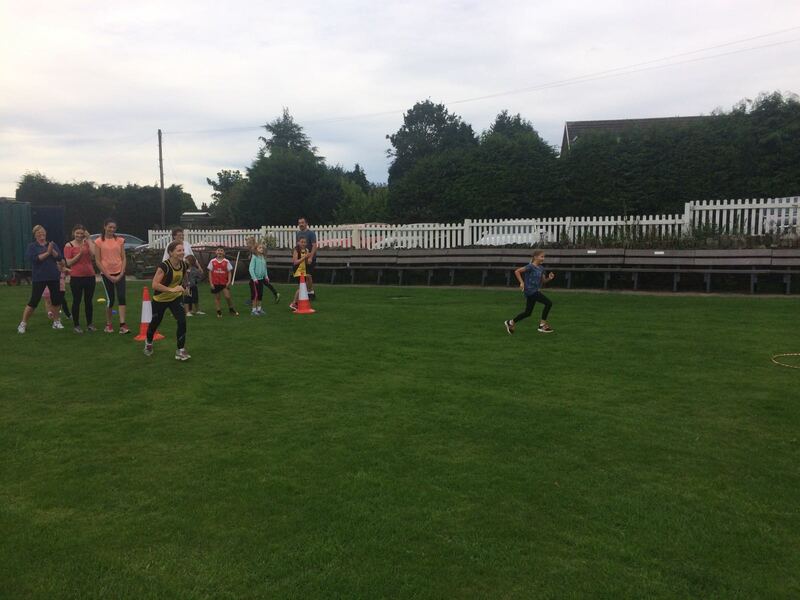 To coach Mark’s astonishment (and possibly a little bit of fear) we had 60 children ranging from 5 to 15 turn up, wanting to fine tune their running skills! To be honest, we were a bit thrown, we never expected such an incredible turn out. But after a couple of minutes of shock, we got stuck in. 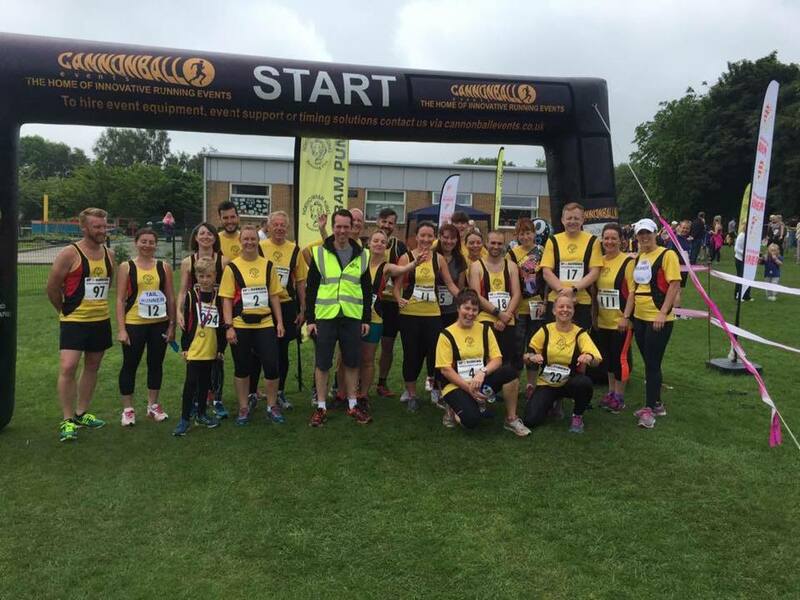 Each group was lead by a coach or assistant coach and then some willing volunteers from our adult running groups. 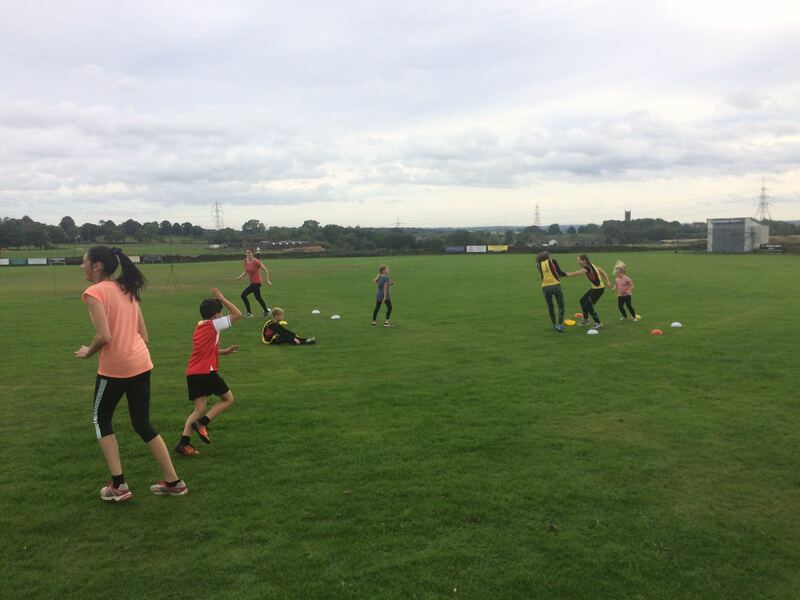 For our first week we stuck to the cricket pitch and did a variety of skills based games with each of the groups. After a slightly chaotic, and exhausting hour, we got some great feedback from the kids in each of the groups and most of them (we will concede that running isn’t everyone’s cup of tea (although we will never understand why?!?)) were already looking forward to coming back next week. 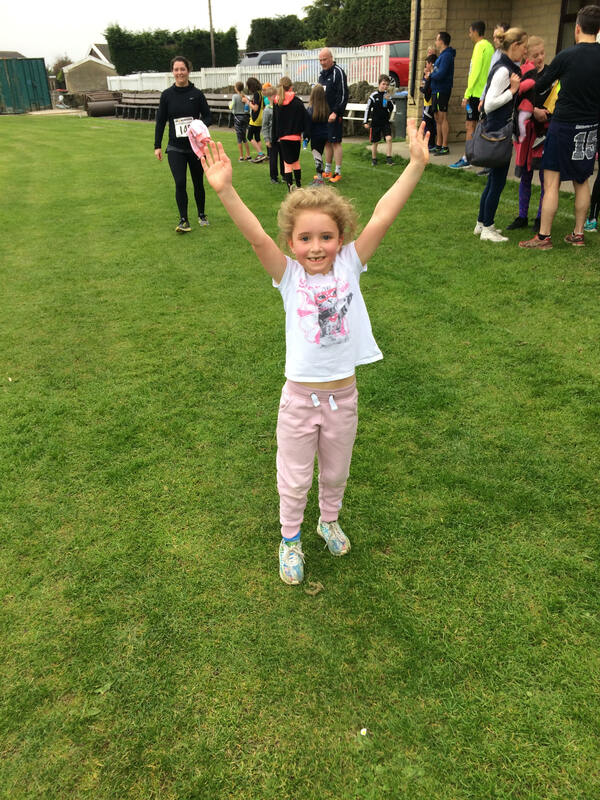 We were amazed that each week we had at least 60 children turn up ready to run (there’s only been one week since we started that we’ve had less than 60, and even then 54 kids still turned up). 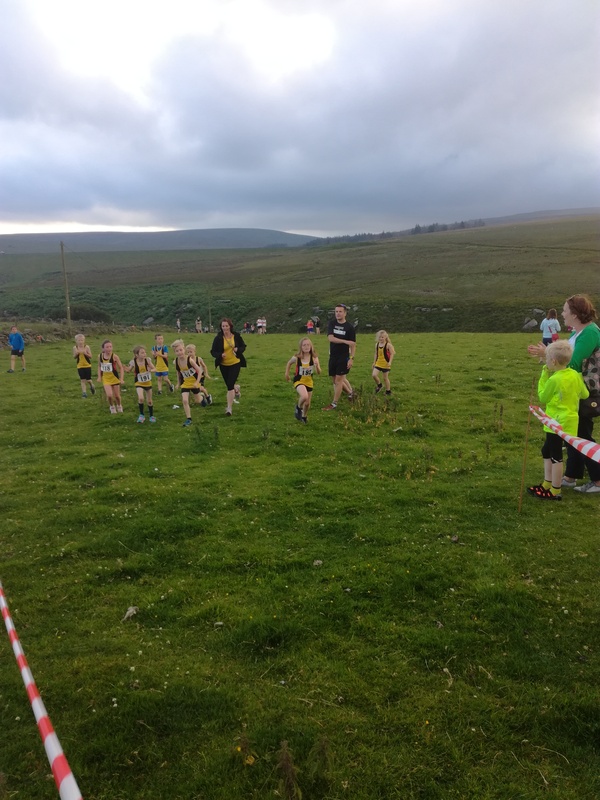 After our first week, we’ve also introduced a lot more off road running into our sessions, even our under 7’s have been enjoying some of the great trail routes around Northowram! We’ve also started to adapt the groups, so that we’re working on ability based groups rather than purely aged based groups. This means that, regardless of their ability, each child is running with a group tailored to them. 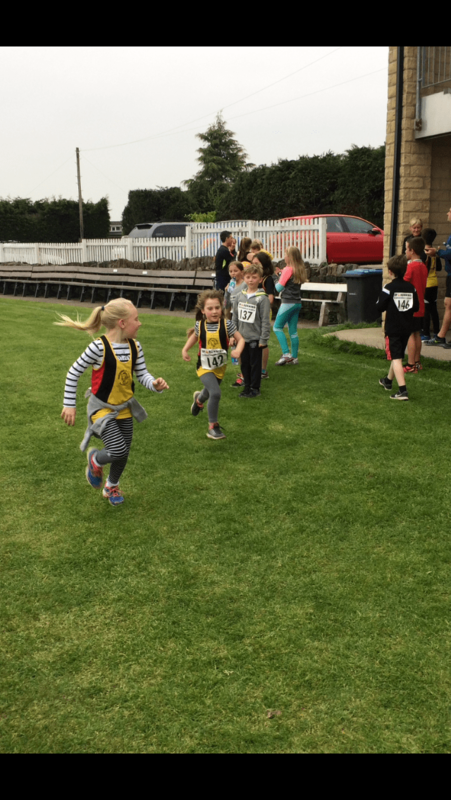 All the kids that attend each week are showing some brilliant running potential. Each week we’re staggered by their enthusiasm and willingness to try something new. Especially when something new is running up hills! 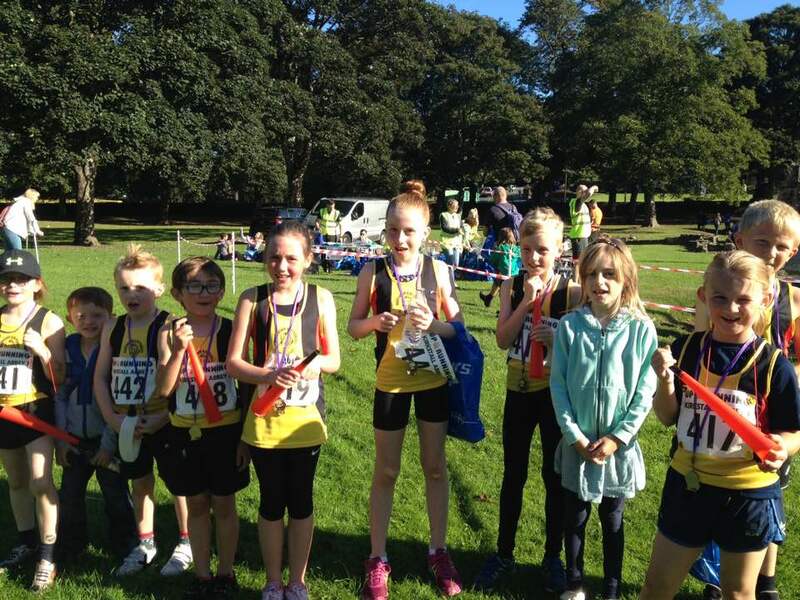 We’d love for as many of our juniors as possible t0 sign up and run the Northowram Burner 2.5k fun run. 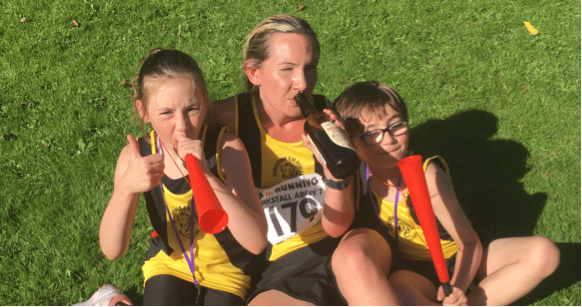 We’re also looking into organising a Pumas summer event, open to adult and junior members and possibly entering some of our juniors into some junior races. Keep checking the website and Facebook group for more information. The best way to find out about what’s going on with Junior Pumas is to join our Facebook group. If you’ve got any questions, comments or ideas then please just email us at juniors@northowrampumas.co.uk or speak to one of us on a Wednesday after the sessions. 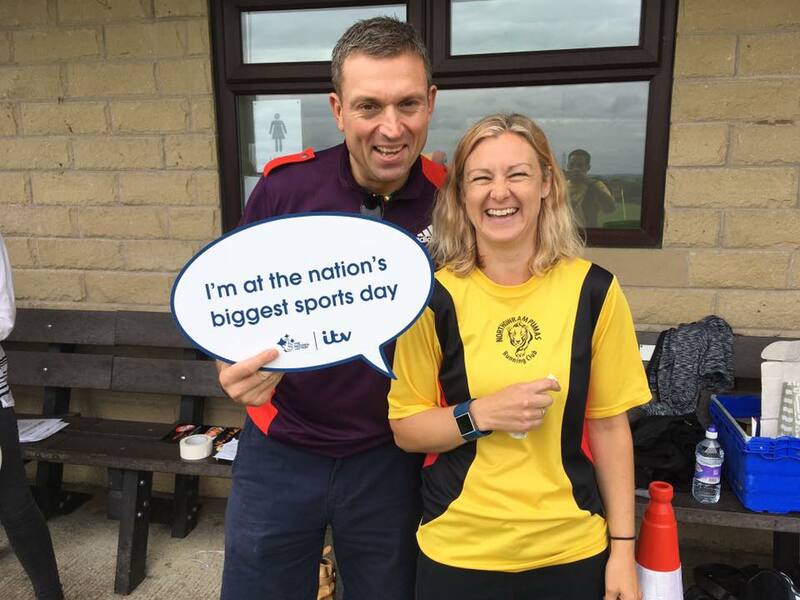 We’d also like to say a massive thank you to all the parents who bring their kids along, all of our adult Pumas who help us out on a Wednesday, and Alastair and Mark from Calder Valley Running Club who come and help us coach each week. 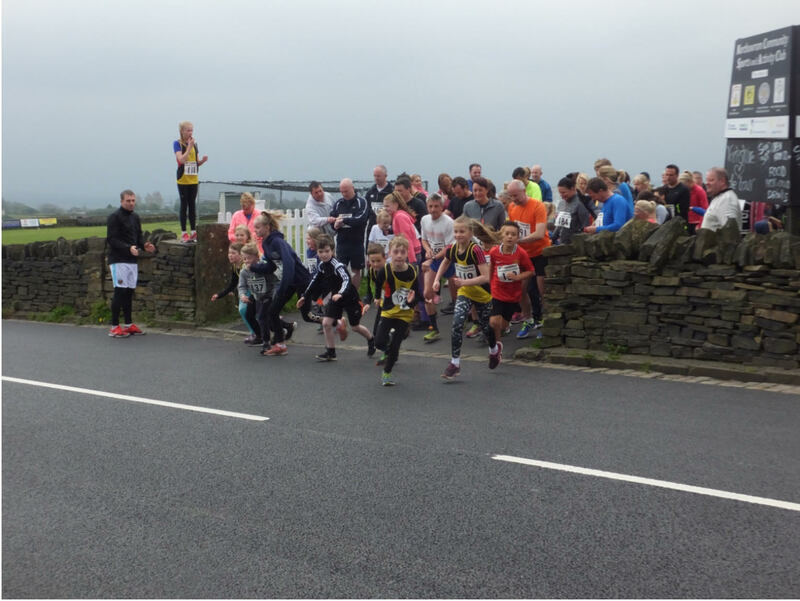 The Northowram Scarecrow Festival takes place every year over the May bank holiday, and as runners, the obvious highlight of the weekend for us Pumas is the Scarecrow fun run/walk. There were two distances to choose from. 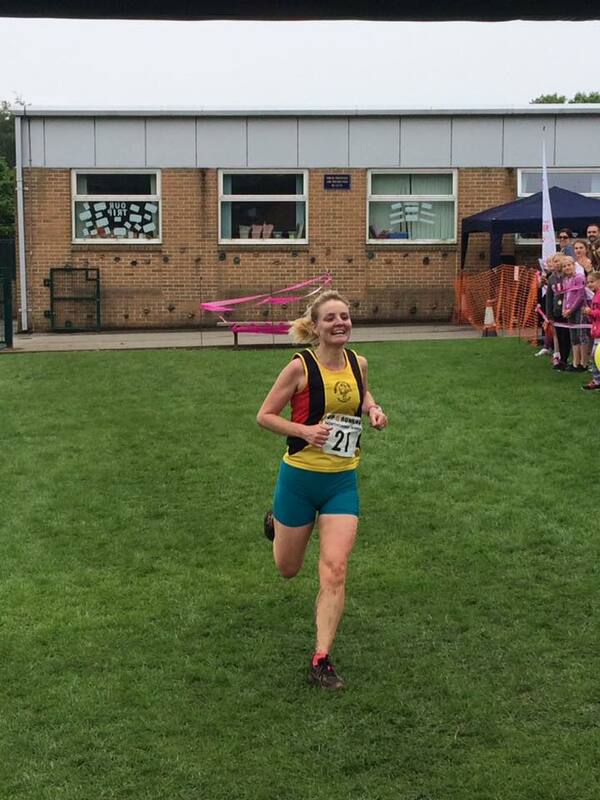 A steady 3.5 mile route or a more challenging 4.2 mile route both starting and finishing at The Northowram Sports and Activity Club at 11.00am. Both routes were a mixture of trail and road and took the runners/walkers around some of the beautiful sights around Northowram village. There were also the chance to catch a glimpse of some of the many amazing scarecrows that were scattered around the course (a fleeting glance of course….people were going pretty fast!). Even the, at points torrential, rain didn’t dampen anyones spirits, with an amazing 108 people turning up for the event. This also included quite a few children and some of our new junior Puma members. Everybody that took part successfully completed the run/walk and all the children received a finishers rosette. 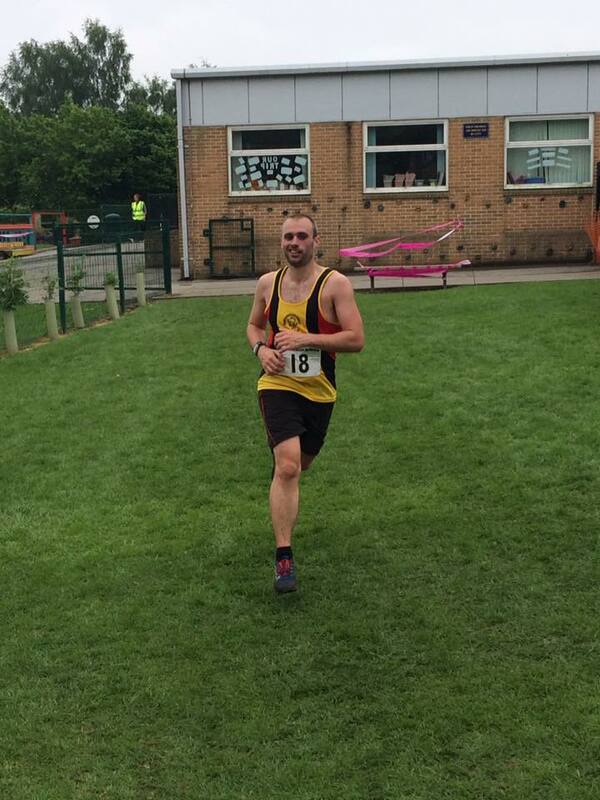 Matt Newton was the first person back to the club after completing the 4.2 miles, despite getting lost and taking wrong turns along the way! Northowram Pumas would like to thank everybody that turned up and joined in with the fun run. 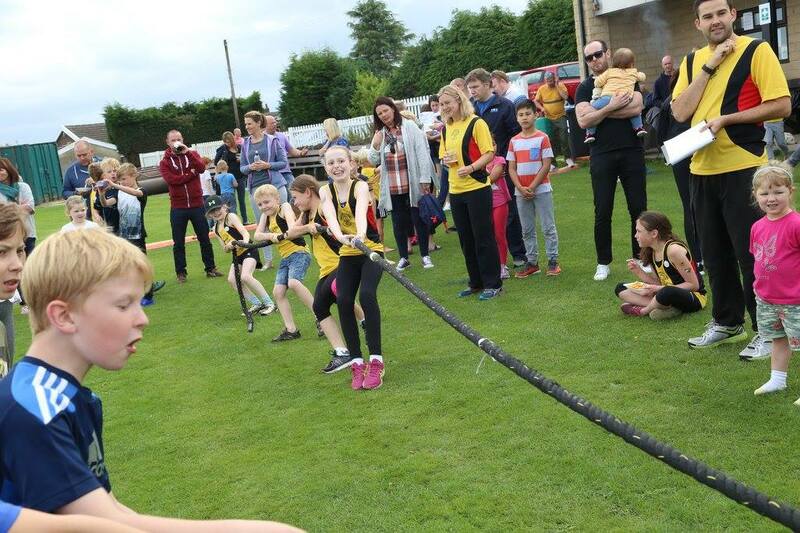 It was the second successful fun run/walk hosted by the club and £210 was raised for the Scarecrow fund. and all of our amazing marshals: Paul, Jenny, Rob, Dale, Andy (also the on-course photographer! ), Andrea, Elaine, Steve, Tracey, Councillor’s Baines & Taylor, Dave, Jess and John who battled some wet conditions to make sure everybody (including Matt who clearly didn’t read his route map as well as he should have!) stayed safe on route.